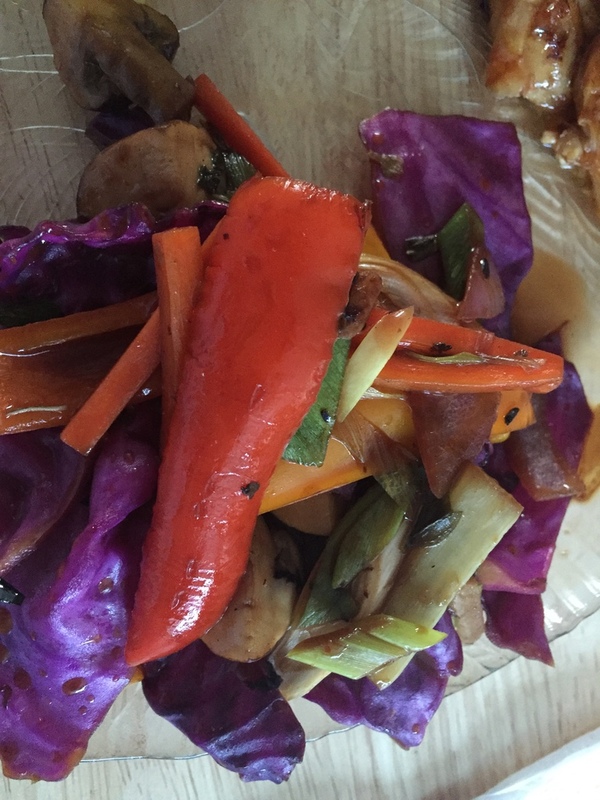 Colorful vegetables and this spicy delicious sauce will be a hit with your next oriental dish. 1 Mix the sauce ingredients together, making sure the cornstarch is not lumpy. Set aside. 2 In wok or large skillet, heat oil, then add onion and garlic. Stir and cook until onion is transparent, 2-3 minutes. Add remaining vegetables and stir fry for 3-4 minutes. Stir the sauce and add to wok. Stir until sauce thickens. Serve immediately.